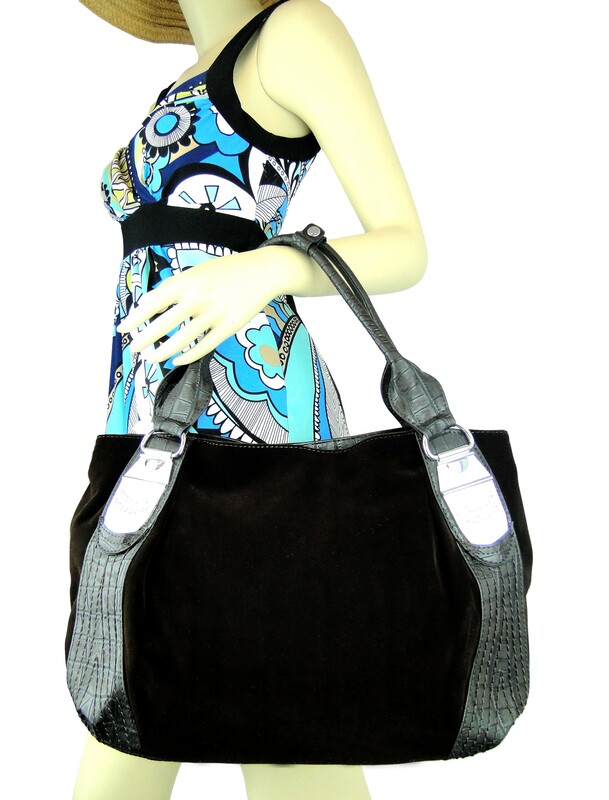 Double handle/shoulder strap with 9.00" drop. Top zip closure and fabric lining. 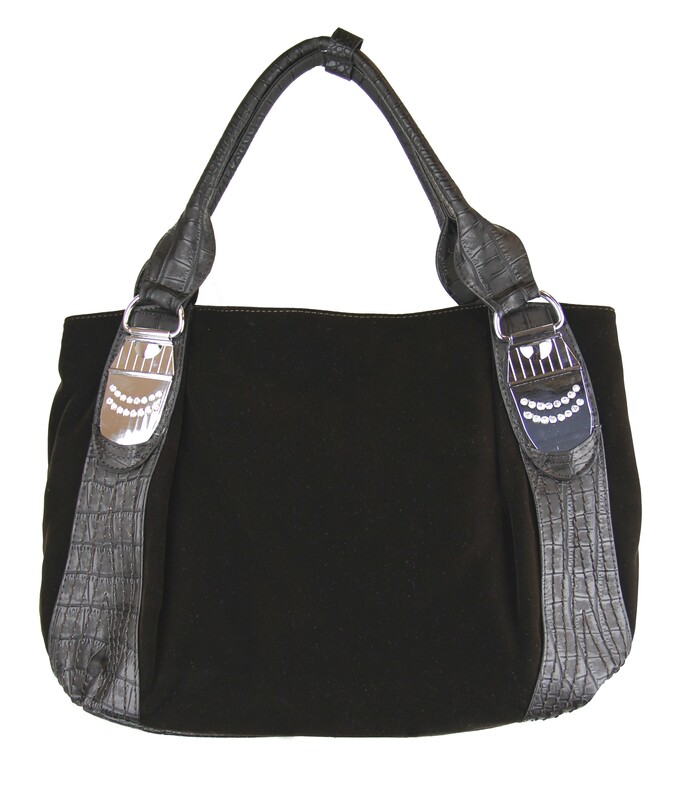 Suede with faux croc-embossed leather trim. 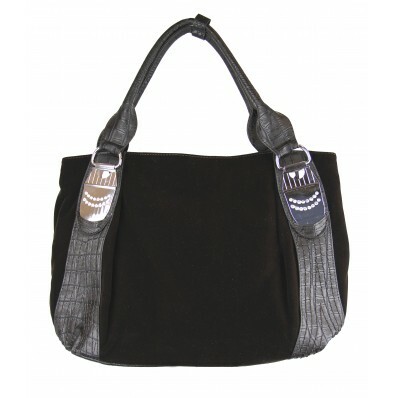 2 compartments, front compartments Interior features 3slip pockets, back compartments interior features zip pocket.